Sieg Borck grew up in a small town outside of Hamburg, Germany. Sieg left home at the age of 14 to further his education by attending high school and then proceeding on to attend engineering school. He learned the details of tool making, die making and non-metallic materials such as plastics and insulation. 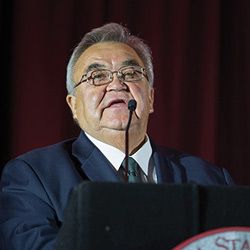 In 1957 Sieg made his way to the United States to start a new life. He resided in Los Angeles with his great-uncle until he met and married his wife Edith in 1960. In 1971 Mr. Borck moved his wife and three children to Thousand Oaks, California. Shortly after arriving in Los Angeles, Mr. Borck found a job with HI Thompson, working in the insulation industry as an engineer. While at HI Thompson Mr. Borck gained a vast amount of knowledge about the intricacies of the insulation business. While at Thompson, he worked on many challenging jobs, including the development of new insulation systems for Boeing 707 commercial jets. It was also at Hi Thompson where he got his first-hand experience working with insulation systems for the SR-71 and U2 programs. In 1964, Mr. Borck, along with his extensive knowledge and experience in the insulation field, went into business for himself and founded Hi-Temp Insulation, originally located in North Hollywood. 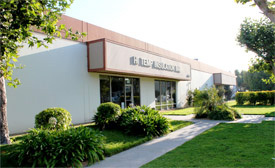 From 1968 until 1974, Hi Temp merged with Fansteel, located in Newbury Park, California. Mr. Borck and business partners bought Hi Temp Insulation back on July 24, 1974. At that time, Hi Temp relocated to Camarillo with 35 employees. Mr. Borck is grateful for the hardworking and loyal employees who have supported him and the company all the way to this present day. Mr. Borck takes great pride in the achievements he has worked so hard to attain over his lifetime. 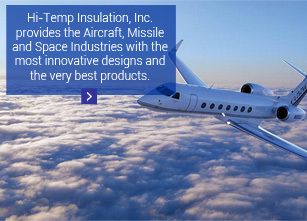 A combination of education, knowledge, experience, dedication, and ambition, resulted in turning his love of the insulation field into a successful business as a leading manufacturer of acoustical and thermal insulation products for aerospace and commercial aircraft.